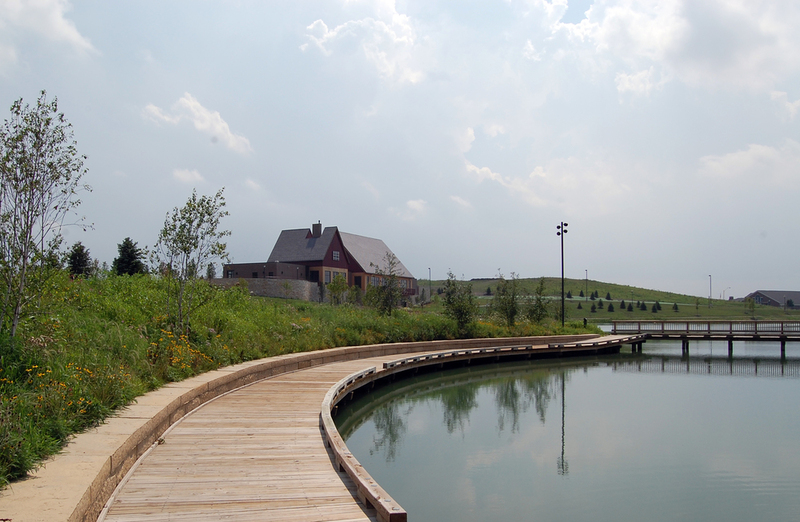 The Centennial Park Development includes approximately 230 acres of a brownfield site (landfill). This work incorporates reshaping the existing 12 acre lake, construction of a clubhouse / social center and amphitheater, parking, path system, various landscaping amenities, and a nine hole golf course. The lake redevelopment introduces a 140 foot span pedestrian bridge, emergent aquatic plants along the shore line, and a public art sculpture walk. The park path system plans consist of about three miles of paths made of concrete, asphalt, rotten granite, boardwalk, or crushed limestone. Centennial Park has achieved USGBC LEED Certification. Centennial Park received the 2008 AIA Excellence in Design Award from the American Institute of Architects - Eastern Illinois Chapter. 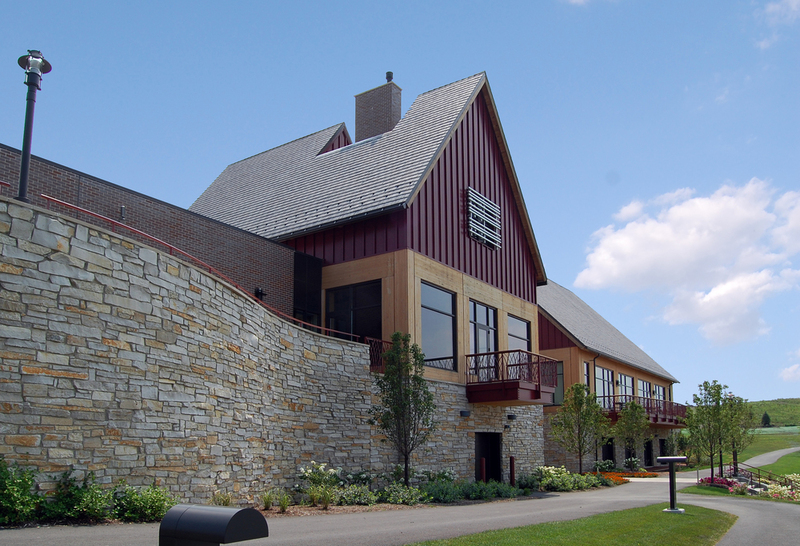 Other clients we've worked with in the world of Civic projects include: Munster Fire Station and Maintenance Facility, Country Club Hills Operation Center, and Village of Frankfort Village Hall.